Rising and falling wedges are a technical chart pattern used to predict trend continuations and trend reversals. 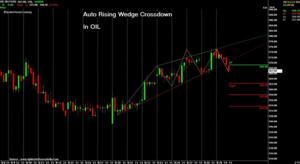 The rising wedge is a generally bearish pattern signalling that one will likely see the price break downwards through the wedge and move into a downtrend. 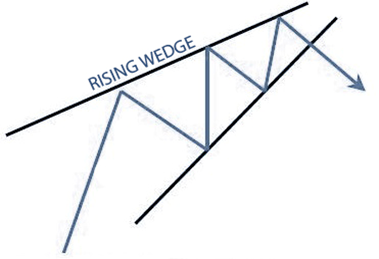 The rising wedge is a bearish stock pattern that begins wide at the bottom and contracts as prices move higher. It occurs when the price is making higher lows and higher highs which form two contracting lines. The rising wedge usually precedes a reversal to the downside, and this means that you can look for potential buying opportunities. How to Trade with Symmetrical Falling wedge pattern? · To qualify as a reversal pattern, there must be a prior trend to reverse. Ideally, the rising wedge will form after an extended uptrend and mark the final high. · It takes at least two reaction highs to form the upper resistance line. Each reaction high should be lower than each previous high. 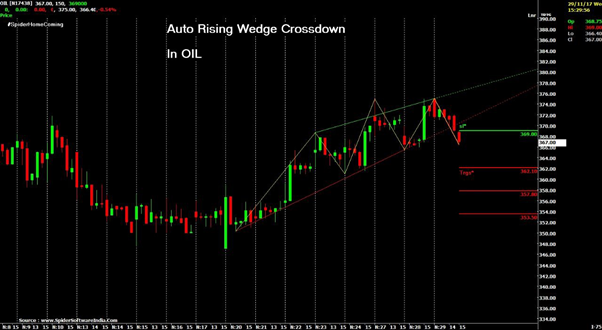 Wait and watch for a candlestick to breakout of the rising wedge pattern. Volume decreases during the formation of the wedge and should expand on the breakout.